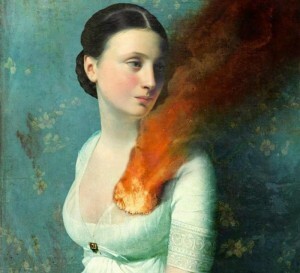 ‘Portrait of a Heart’ by Austrian digital artist Christian Schloe. This image is used on our site with the permission of the artist. Your contribution can be anonymous, if you wish. We understand the need for privacy and security. We will strictly moderate the site (as per our guidelines for participation). We are doing all we can to make this a safe place in which you tell your stories. This is experimental, but we think it is important that someone tries to find a way of helping to improve the sort of coverage the issue usually gets in the media. We think it is important that the wider public hears your stories. Read those statistics at the head of this page again. It is simply unacceptable that in the twenty-first century, in an advanced democracy such as Australia, such rates of violence against women exist. Perhaps if we can better inform the public, better inform our politicians and others in positions of authority about the nature of the problem, we can help bring about the change that is needed. Your stories can be part of that process because sharing stories is one of the ways by which human beings learn about each. And when we learn about each other, find out what we have in common and about the sorts of lives we have lived, we may also find the courage and empathy necessary to challenge a situation that none of us should find acceptable. So if you have a story to tell, please take advantage of this space. If you know someone who might want to participate, please let them know about the site. This site is a small step on a much longer journey, but it is a step worth taking.